Philosophy is a skincare and cosmetic brand that has been around since 1996. It was founded by Cristina Carlino, a skin specialist who previously owned another line of medicated skincare range that exclusively catered to dermatologists and cosmetic surgeons. In 2010, the company was acquired by the Coty, Inc. With many beauty brands under its wings, Coty played a crucial role in making Philosophy a globally successful luxury skincare brand. Although the brand started with a limited line up of skincare products, it has now expanded into color cosmetics, fragrances, as well as bath and body products. The brand is all about “inspiring beauty” from within. Their packaging includes an inspirational message. Since 2014, Philosophy has been raising awareness of mental health and wellbeing through its Hope & Grace Initiative. Philosophy has made quite a name in the skincare industry. Its products remain in our bestseller list, and the brand enjoys an enviably loyal following. It is a brand endorsed as a personal favorite by numerous celebrities such as Oprah Winfrey and Ellen Pompeo. The philosophy behind the brand is one of the key reasons for the success of Philosophy as a brand. The brand wins hearts not just through the exceptional quality of its products, it garners love because of its values. It is difficult to believe that Philosophy started with just one product called ‘Purity made Simple’, one of their top-rated cleansers till date. Today, it enjoys a vast range of product. Everything from their fragrances to make up is simply amazing. Even the foundation gives amazing coverage while simultaneously nourishing, repairing, and protecting the skin. Three of the products we are about to highlight is an exclusive one that definitely deserves as much love as other bestsellers from the brand. Philosophy Shampoo, Shower Gel & Bubble bath– Philosophy has an amazing range of sweet smelling shampoos that also work as a shower gel and bubble bath. There are some classic flavors, and then there are limited editions every year. Even in their holiday range, there are some that return every season while others are exclusive for the year. Snow Angel, Christmas Cookie, Candy Cane, Christmas Pajamas, Shimmering Snowlace, and Vanilla Velvet Truffle are the hits this year. However, it is not just the fragrances or fancy names that make it a great product. This multitasking formula is highly nourishing and moisturizing. It will leave your hair and skin soft, smooth, and shining. 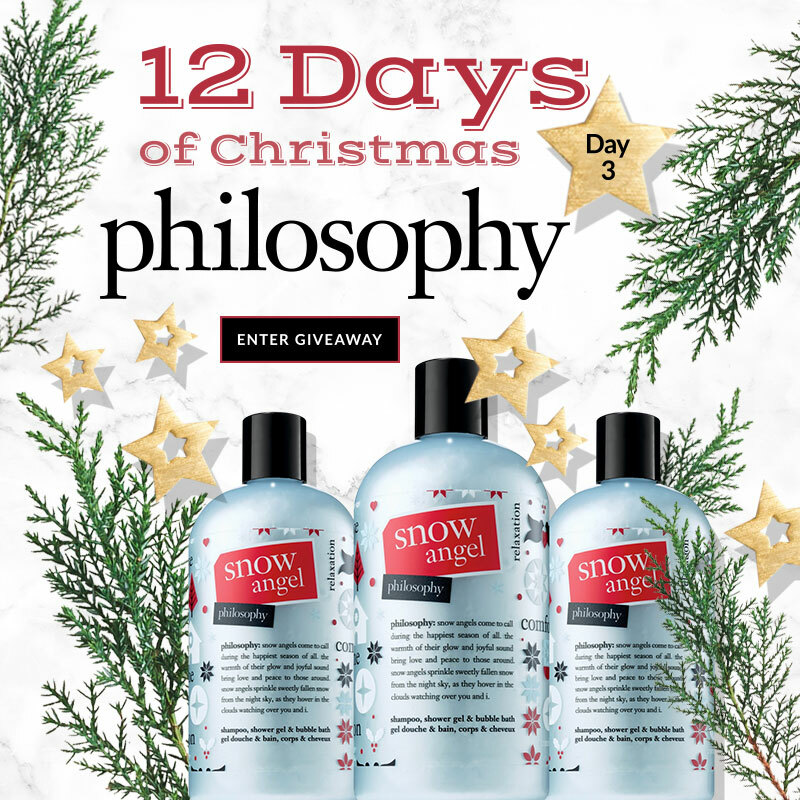 Here’s Your Chance To Win A Philosophy Gift Set by Beauty Bridge! Would absolutely love to win this set. Thanks for the chance! I love philosophy! The scents are luscious & make you smell fabulous! I have been a Philosophy Girl for many years and have introduced it to a lot of my family & friends because I believe in it So Much!!! This would be awesome. Never tried these products before. Would love to try these products,ty for the chance. I have never had the opportunity to try philosophy but I would love to .